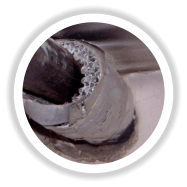 Our Services • We are able to conduct both Asbestos Management Surveys and Refurbishment & Demolition surveys in accordance with the requirements of HSG264 and provide you with a survey report. Our survey reports are unique to our company. We have written our own software which enables us to tailor our report’s to our clients’ needs. The reports are clear concise and jargon free, being written in plain English. All incidences of asbestos containing materials have easy to follow references and risk assessments are colour coded. • Once you have your survey report which incorporates the Asbestos Register a Management Plan must be drawn up. We can assist you to fulfil this function by the compilation of Management Plans setting out an appropriate inspection programme of the asbestos containing materials. • The Control Of Asbestos Regulations require that the condition of the asbestos containing materials must be reviewed at intervals of no longer than a year. 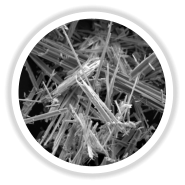 We are able to offer re-inspections to review the condition of asbestos containing materials where they have been identified by an earlier asbestos Management Survey. We have considerable experience in conducting surveys in a variety of properties including Listed Buildings where professional knowledge of structures is required. Our experience includes complex and varied sites such as airports, hospitals, schools, listed buildings etc. Working with Asbestos When working with asbestos materials, they are divided into three categories. The legislation is different for each category. • Licensed Materials • Notifiable Non-licensed materials • Non Notifiable Non Licensed materials Do you know which is which? We are able to offer our clients’ appropriate advice on how to deal with any asbestos containing materials found within their buildings. Residential Property Changes to the Construction Design Management Regulations 2015 means that any building contracts and building projects are subject to the regulations, this includes most domestic projects. Once works are subject to Construction Design Management Regulations it is necessary for a Refurbishment & Demolition Survey to be carried out prior to any commencement of works. We are able to offer Refurbishment & Demolition surveys for residential properties to comply with these requirements. Our Services • We are able to conduct both Asbestos Management Surveys and Refurbishment & Demolition surveys in accordance with the requirements of HSG264 and provide you with a survey report. Our survey reports are unique to our company. We have written our own software which enables us to tailor our report’s to our clients’ needs. The reports are clear concise and jargon free, being written in plain English. All incidences of asbestos containing materials have easy to follow references and risk assessments are colour coded. • Once you have your survey report which incorporates the Asbestos Register a Management Plan must be drawn up. We can assist you to fulfil this function by the compilation of Management Plans setting out an appropriate inspection programme of the asbestos containing materials. • The Control Of Asbestos Regulations require that the condition of the asbestos containing materials must be reviewed at intervals of no longer than a year. We are able to offer re-inspections to review the condition of asbestos containing materials where they have been identified by an earlier asbestos Management Survey. We have considerable experience in conducting surveys in a variety of properties including Listed Buildings where professional knowledge of structures is required. Our experience includes complex and varied sites such as airports, hospitals, schools, listed buildings etc. 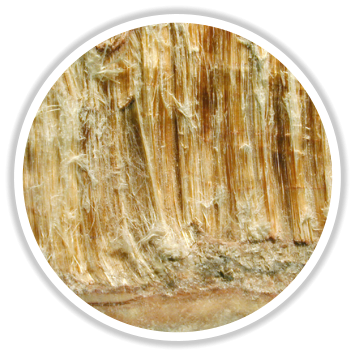 Working with Asbestos When working with asbestos materials, they are divided into three categories. The legislation is different for each category. • Licensed Materials • Notifiable Non-licensed materials • Non Notifiable Non Licensed materials Do you know which is which? We are able to offer our clients’ appropriate advice on how to deal with any asbestos containing materials found within their buildings.